Get your tissues out for this one! 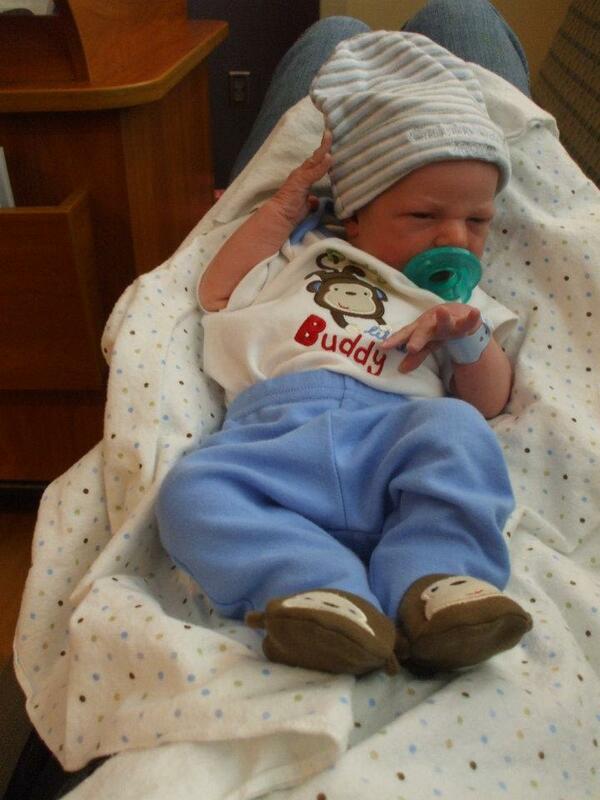 This is the story of baby Brady and how he waited his "whole" life to meet his daddy. Amberly a very proud momma has shared this wonderful story! 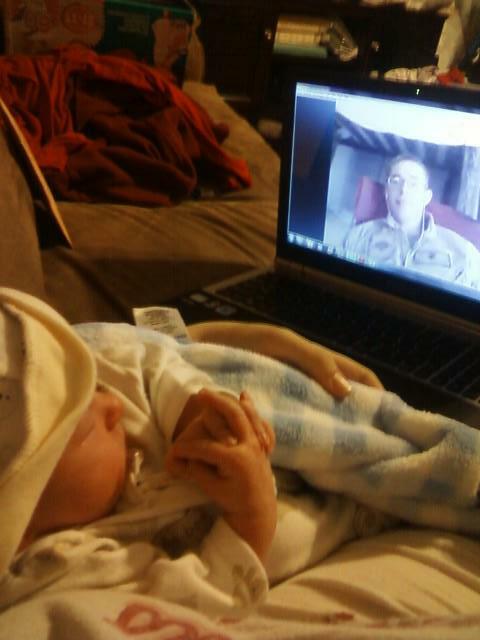 "My husband, LCpl Jonathan, deployed to Afghanistan when I was 33 weeks pregnant with our second child, his first son. 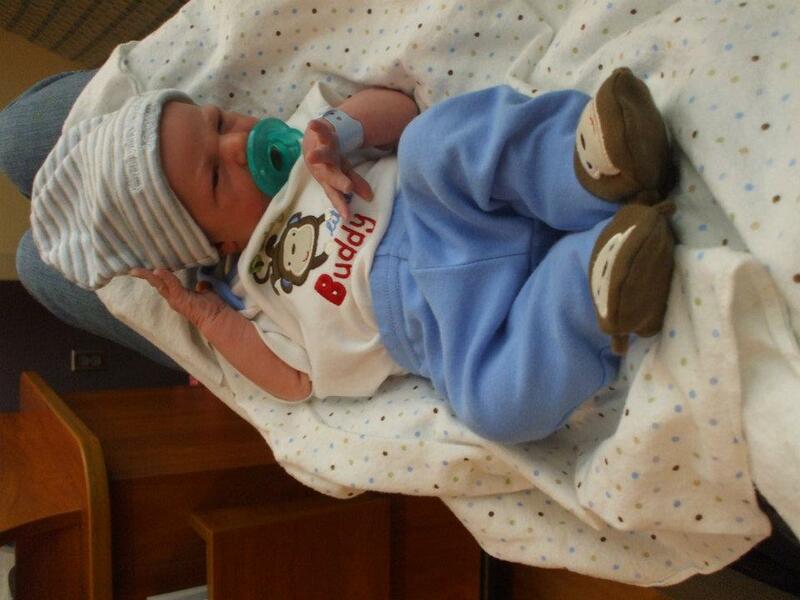 Brady was born 6 weeks (April 20) after my husband left, and waited four months to officially meet his father in person. We also have a daughter, Anabelle (3), who was a big helper while daddy was "at work" for a really long time. Brady and Tyler (Jonathan) finally met one another August 2012. It was not the easiest giving birth while my husband was deployed, but it was an experience that I will never forget and one that we can tell our son about in a few years. 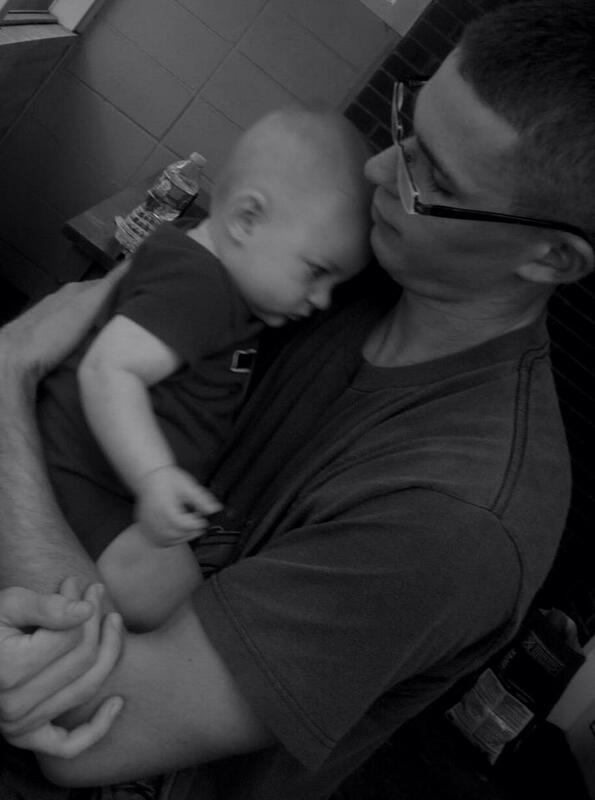 Now that Brady has met his daddy, he is his favorite person in the world. My son is now 8 months old and very happy and quite amazing. My advice/words of wisdom to military wives/mommies going through similar situations would to of course try and keep busy to keep your mind from running terrifying thoughts, take as many pictures/videos as possible because even though your husband cannot be there he can still see all the changes and new steps from the pictures and videos. Last but not least, find a great support system within friends who are also part of the military experience. Family is wonderful, but if they are anything like mine they have no clue what struggle you are going through, and another military wife knows just how you feel and will be by your side helping you fight the battles at home while your best friend is fighting for you over seas." Thank you to Amberly for sharing your personal photos. *I warned you, who else is crying right now! ?